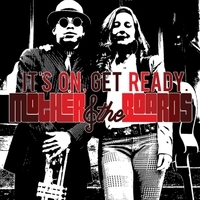 Mother & the Boards sound is a blend of folk and blues with notes of hip hop that delivers a fiery message to incite and inspire. Imagine the musical birth child of Nina Simone, Bob Dylan and Fugazi belting revolutionary anthems for a contemporary audience. Our bass player Ryan DeFrisco is a queer artist playing with many bands. Our trumpet player Elandis V. Brooks brings New Orleans influence. Our drummer Jordan “Jbird” Davis gives funk vibes to the group. Kazoo Studios (Kathryn Lynn Shearman), the singer, has a background in folk and soul.